NJB Article and Source Repository: About Those Loser “Trumpkins.” By William McGurn. 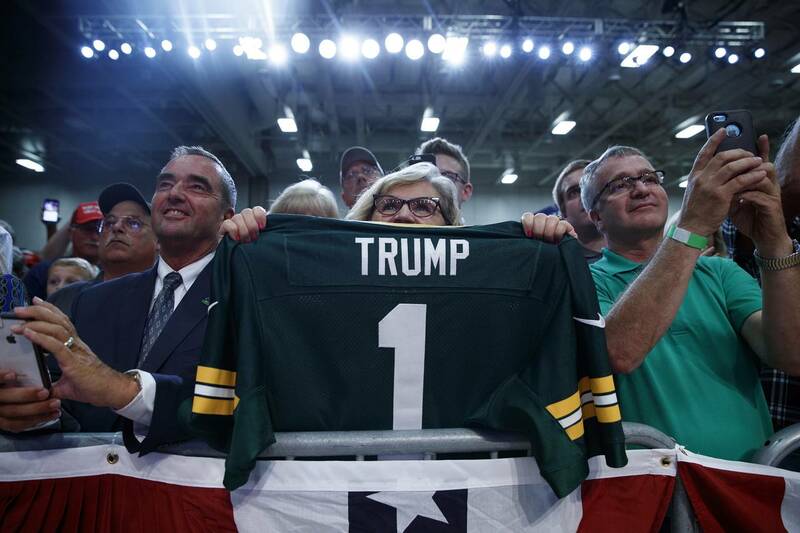 Donald Trump supporters as an August 5 campaign rally in Green Bay, WI. Associated Press. About Those Loser “Trumpkins.” By William McGurn. Wall Street Journal, August 15, 2016. What is it that the much-vilified Trump voters are trying to tell us? In the land of NeverTrump, it turns out one American is more reviled than Donald Trump. This would be the Donald Trump voter. Lincoln famously described government as of, by, and for the people. Even so, the people are now getting a hard lesson about what happens when they reject the advice of their betters and go with a nominee of their own choosing. What happens is an outpouring of condescension and contempt. This contempt is most naked on the left. No surprise here, for two reasons. First, since at least Woodrow Wilson progressives have always preferred rule by a technocratic elite over democracy. Second, today’s Democratic Party routinely portrays its Republican Party rivals as an assortment of nasty ists (racists, sexists, nativists, etc.) making war on minorities, women, foreigners and innocent goatherds who somehow end up in Guantanamo. Still, the contempt for the great Republican unwashed does not emanate exclusively from liberals or Democrats. Thanks to Mr. Trump’s run for office, it is now ascendant in conservative and Republican quarters as well. We get it: Trump voters are stupid whites who are embittered because they are losing out in the global economy. In fact, in areas where people were more affected by immigration and competition from Chinese imports, support for Mr. Trump declined. By contrast, his support was stronger in areas low in intergenerational mobility. Could it be that what motivates Trump voters is not a purely selfish concern for how they themselves are faring but how well their children and their communities will do? The people are not always right—even schoolboys know about the tyranny of the majority—but a self-governing society ought to welcome the engagement of its citizens. In this light, a more fruitful approach might start by taking note of the surprise popularity in these year’s primaries of an outsider businessman in the GOP and a socialist over in the Democratic Party. The result? A conversation that opened not with a taunt but a question: “What are the American people trying to tell us?” Unfortunately, it’s hard to get there when ordinary people with concerns about the future for themselves and their families are hectored and lectured about how loathsome they are. It all calls to mind a witticism from Bertolt Brecht from 1953, after East German workers who revolted over measures requiring more work for less pay were met with Soviet tanks. In a poem that was not published until years later, Brecht, a playwright who had publicly supported the crackdown, wryly defined the problem as a regime losing confidence in its people rather than the other way around.